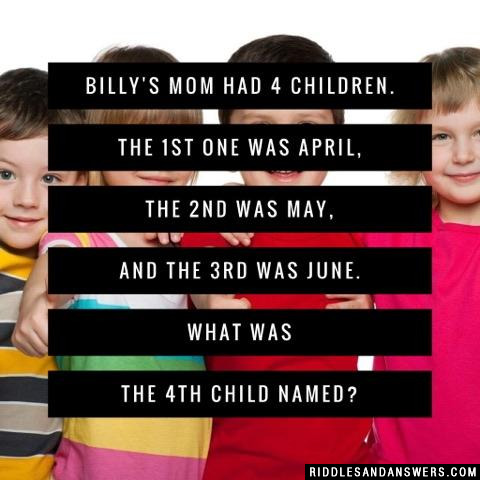 Billy's mom had 4 children. The 1st one was April, the 2nd was May, and the 3rd was June. What was the 4th child named?